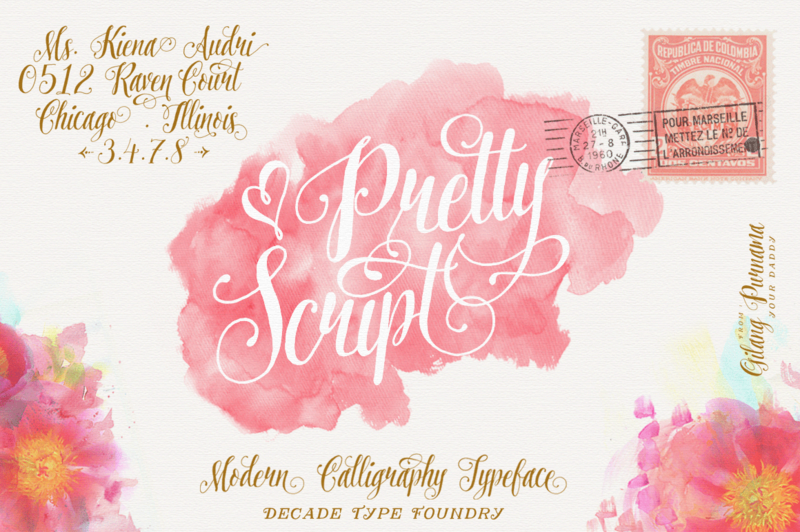 Pretty Script is a elegant and calligraphic handmade script family created and published by Decade Type Foundry, an indie font foundry. Featuring over 500 glyphs, 10 alternative fonts, swashes, ornaments and many language support Pretty Script can be used for any king of design projects that require a letter flow touch and also very good readability. I would say that this is a Pretty good Script! A font description published on Thursday, January 22nd, 2015 in Decade Type Foundry, Fonts, Gilang Purnama by Andrei that has 5,184 views.